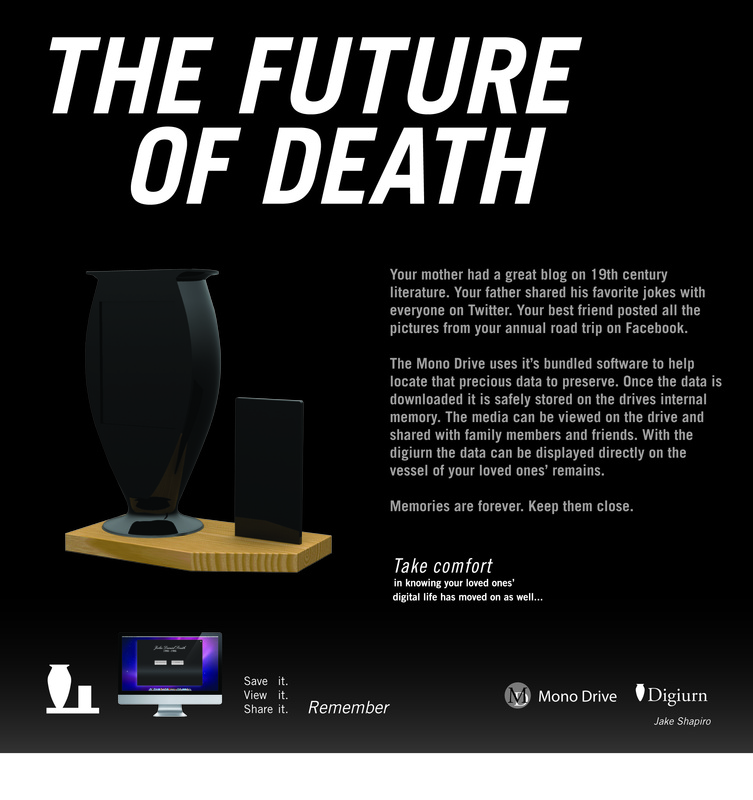 Recent design school graduate Jake Shapiro of New York shared his thesis project with us: “The Future of Death” examines how our internet and social media oriented lives have and will continue to change the way we think about and deal with death and grief. Deathware from Jake Shapiro on Vimeo. Managing digital assets and identities after death is certainly a timely topic. Some sites cater to password management and transmission upon death (such as Legacy Locker and Deathswitch), while Facebook has death memorial mode for personal profiles. This may, however, be the first effort to draw together a person’s social media output and combine it with the physical reality of the urn and what remains of the deceased within it. 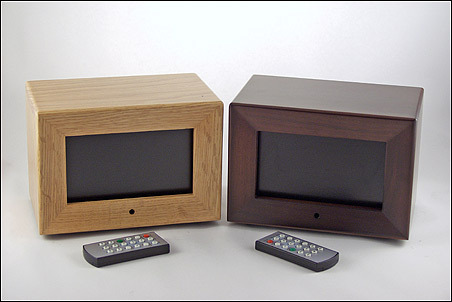 They resemble tiny television sets, complete with remote controls, while the Digiurn is both a throwback and a distinctly modern piece, using the classical urn shape while set up like an iPod docking station. How comfortable with LED screens and external drives are Grandma and Gramps? Hrm, well, it’s their children to whom such products would be marketed. But in a similar complication, compiling, storing and providing access to the deceased’s social media content assumes he or she participated in it. This is a very current concept for a market that largely won’t need it for another 30 to 70 years. Of course, this is the future of death we’re talking about. Considering how the internet has evolved over the past 10 or even 3-5 years, who knows what the future will hold for technology, not to mention how it will transform grief. At the same time, as computer scientist Alan Kay so eloquently put it, the best way to predict the future is to invent it — and we can be sure designers like Jake Shapiro will do just that. 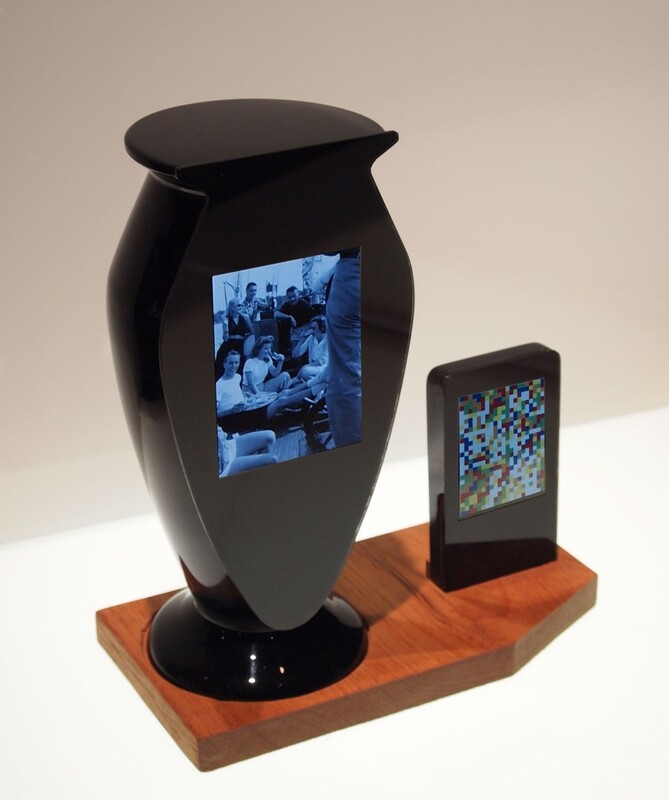 Posted by Meg Holle in Death + Art / Architecture, Death + Technology, Death + the Web, Grief + Mourning and tagged digital assets, Facebook, urns. Bookmark the permalink.